It’s just a small, black ring — but nothing a member of the British royal family does can escape the public’s attention. When Prince Harry was photographed sporting the accessory on Monday, it immediately generated speculation. “Prince Harry baffles fans by wearing a black ring on his right hand in Australia… so is it a gift from Meghan?” read a headline from U.K. newspaper The Sun. “Prince Harry’s Other Ring Gets the Meghan Markle Treatment: Total Tabloid Panic,” noted Vanity Fair. By Thursday, the source of the mysterious band had been revealed — a new health tracker that is getting plenty of backing from Silicon Valley. Called Oura ring, the product is about to gain a mass-market push in the United States beyond the celebrities, business luminaries and athletic elites who currently use it, the company said on Thursday. The gadget monitors the quality of the wearer’s sleep and level of daily activity, and makes recommendations based on that data. 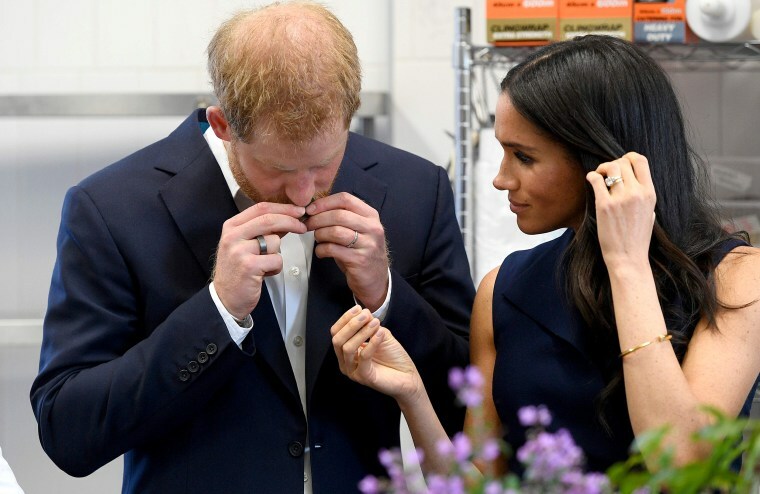 People magazine confirmed on Wednesday Prince Harry has worn the ring, which also monitors heartbeat, heart rate, and body temperature to determine overall well-being. Data from the ring is transferred to a user’s phone, and the device must be charged once a week. The gadget has the backing of Kevin Lin, co-founder of Amazon’s Twitch streaming platform, who is on the board of Oura Health, the company behind the ring. The board also includes Stephen Friend, a former health researcher at Apple. Other investors include Jaan Tallinn, who helped develop Skype. The company is in discussions for new investment from bold-faced names in technology, sports and Hollywood but declined to name them, citing ongoing discussions. Improving sleep and monitoring health have become popular topics in Silicon Valley, with a range of products offering to track personal data. The market for sleep aids is projected to reach $76.7 billion in 2019, according to market data firm BCC Research. Both Sheryl Sandberg, Facebook’s chief operating officer, and media mogul Arianna Huffington have spoken about the need for quality sleep and its effects on productivity. The ring got its start at the CES consumer electronics show in 2016, when it was named one of the most innovative products. The rings are available for around $300.